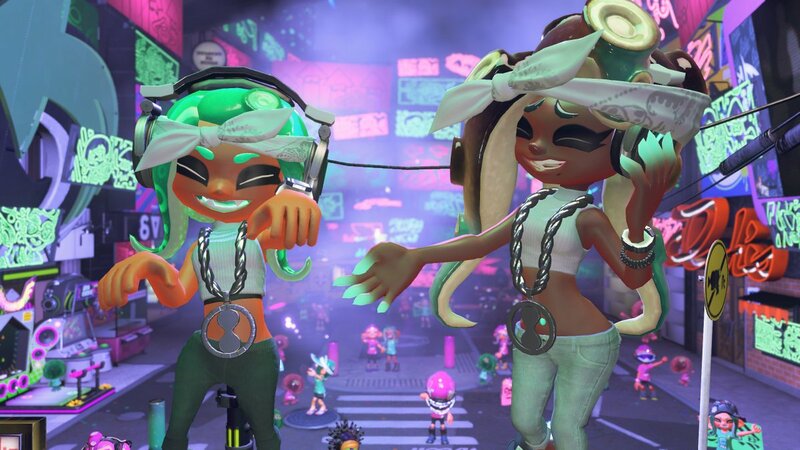 One week from today, the Pearl and Marina Splatoon 2 amiibo, will make their way to the hands of the general public and at long last, we will be able to reap their rewards for ourselves. But what rewards will they be? Well, we already know the amiibo will unlock special gear for your character, but today the official Twitter account has revealed exactly what the gear will look like and it is something we’ve seen before. Also for Squid Beatz fans, the amiibo also add a new visual theme and sound effects to the rhythm game. Do you feel like dancing now?